That’s why this chocolate strawberry banana breakfast shake is perfect for me – I can throw the handful of ingredients into the blender, turn it on, and breakfast is done and easy to bring in the car. Plus, it’s so good that I make it on the weekends when I have plenty of time to sit and eat if I want to. It’s also very customizable – add ins are welcome! 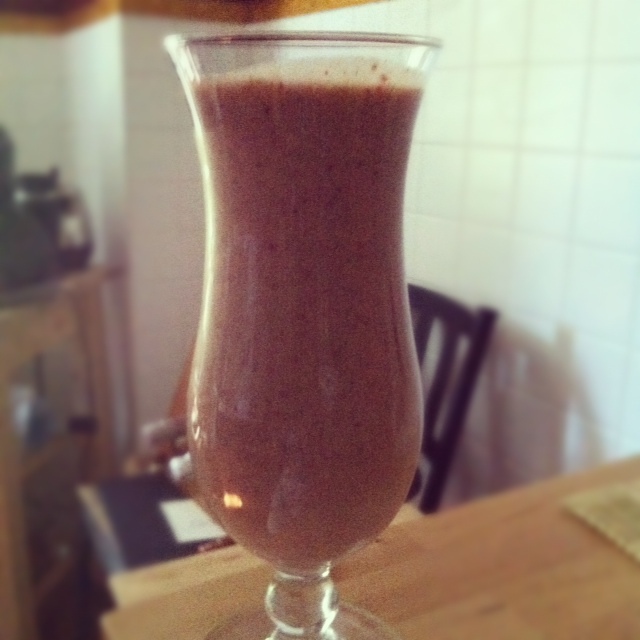 Just a few days ago, I started adding a spoonful of peanut butter to the shake….delicious! 1. Put all ingredients into a blender and blend until smooth. That’s it! I found this shake to be just sweet enough with a TB of cocoa in it, but you can always add agave nectar for a bit more. If you would like to skip the ice cubes altogether, you can always freeze your bananas (I have not tried it yet, but I’ve read that it works really well). 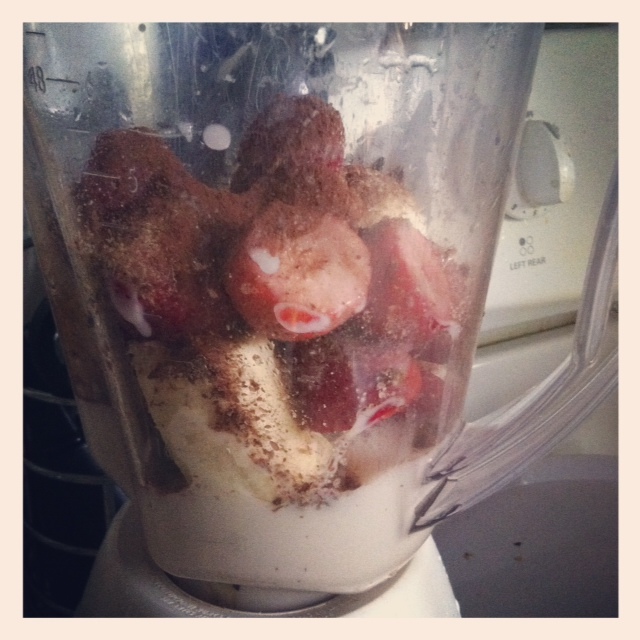 Hopefully this chocolate strawberry banana shake will be the easy morning treat that you are craving! What is your favorite quick and easy breakfast shake/smoothie? Share your ideas below!